Tonight the Los Angeles Lakers take on the Charlotte Bobcats in what is expected to be a very close match. There is hardly a difference in the odds available on the two teams, Lakers fans will find their team the slight favourites with odds of 1/14 but Bobcats fans can find odds of 1/12. The Bobcats are always a bit of a problem for the Lakers, the games between the teams are always close but last year it went the way of the Lakers. 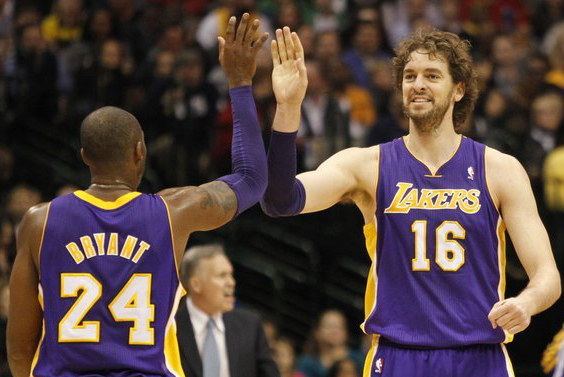 Also, it looks likely that the Lakers will be benefiting from the return of Pau Gasol who has been absent for the last 8 games suffering from knee tendinitis. A full recovery should see him playing better which will be a major advantage for the team. On the other hand, the Bobcats have been struggling, they had a strong start but have since gone on to drop 11 straight games. Obviously they will be hoping to break the losing streak as soon as possible. At present Ramon Sessions in the team’s second-leading scorer at 14.4 points a game just behind Kemba Walker at 18.1. If the Lakers were in their usual form the match might be more predictable, however there’s a chance of it going either way.